Sometimes the most original thing is the simplest, and that’s the case with the Montague Coffee Table from Sunpan. The construction is oak, the surface oak veneer – solid wood, not engineered. 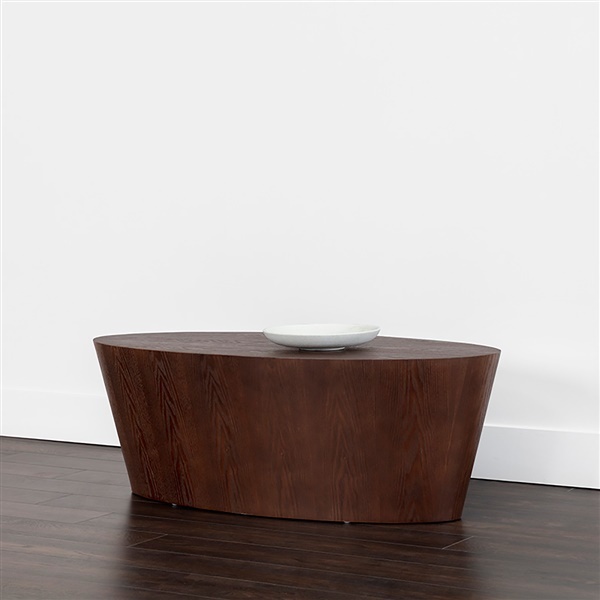 The top is a beautiful plain ellipse, and beneath it, the table reaches the floor as a tapering drum, the wood-grain running vertically as if the table were carved from a growing tree. As intriguing as a sculpture, yet it’s a perfectly scaled coffee table, designed to be useful. The Montague Coffee Table comes in a choice of handsome finish shades.